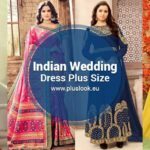 On your wedding day, you want to stand out and feel beautiful. 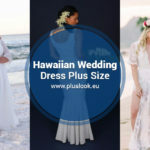 In 2019, more and more women are using non-traditional colors for their wedding dresses. 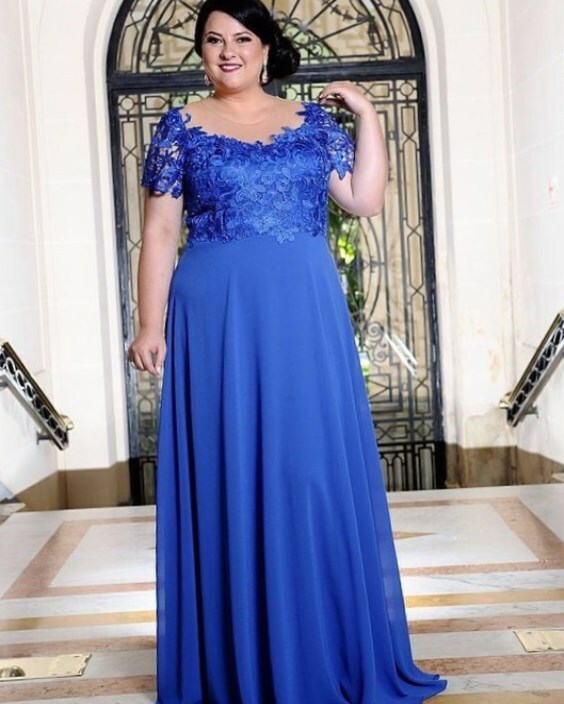 Here are the best plus size royal blue wedding dresses of 2019. 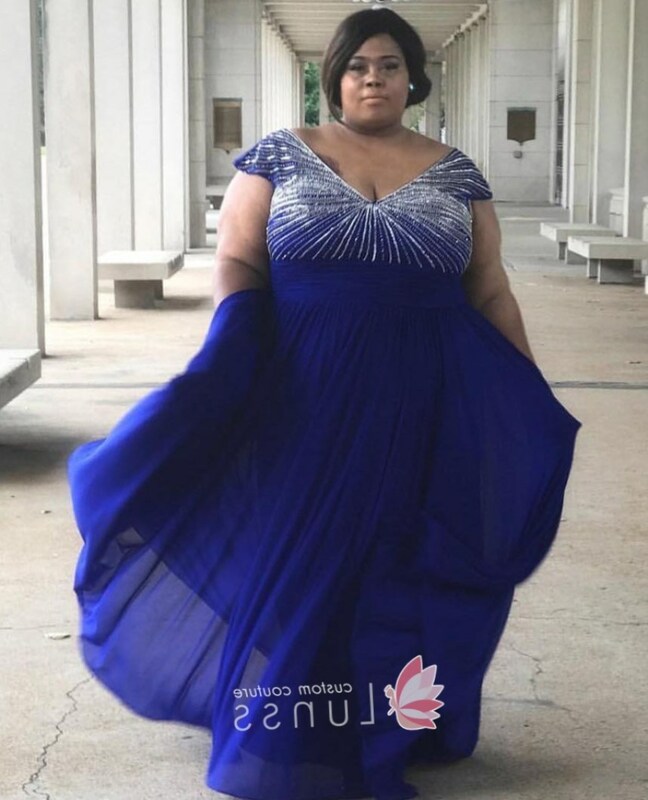 This royal blue and silver starburst dress will suit a full figured woman. The strapless gown has an embroidered top for wedding day elegance. This dress has a slit open up to the thigh on one side. This dress really flatters big hips. The midsection of the floral dress is a black lace floral pattern. 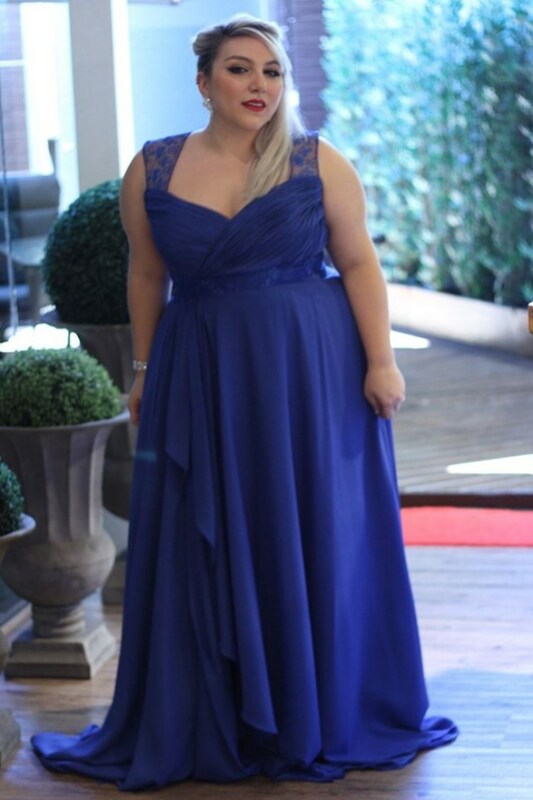 This dress has a decorated belt under the bust and can also look great for royal blue bridesmaid dresses. 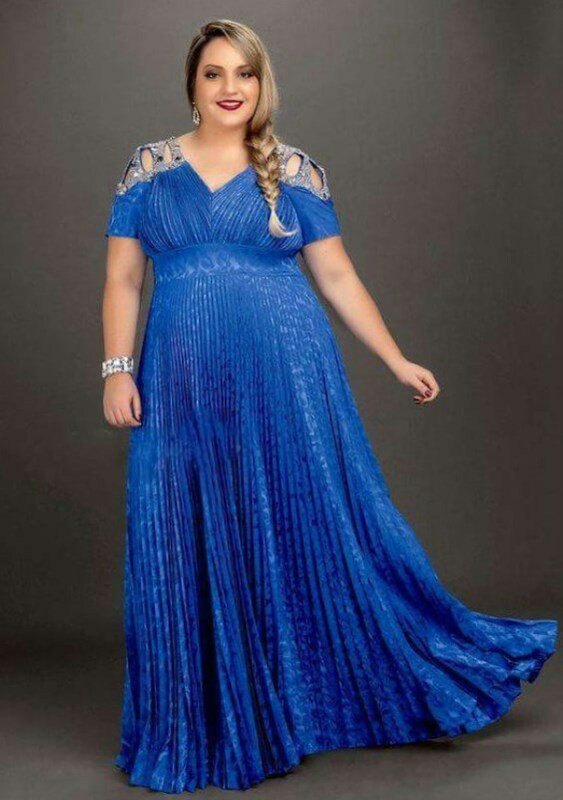 This mermaid style is perfect for plus size women. The hem is full of textured roses. 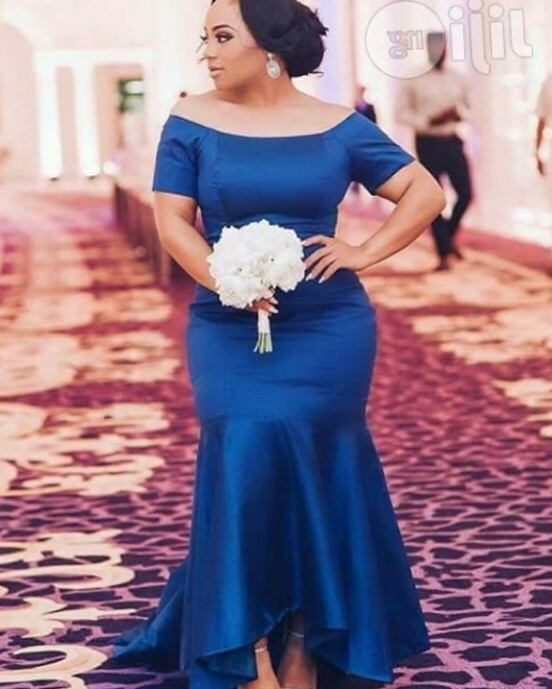 This short blue halter style is beautiful, and can also work for plus size royal blue bridesmaid dresses. If you are looking for wedding theme ideas, try the red carpet with this look! This rouged dress flatters a big bust. The white accents really help make this dress stand apart. This dress has a decorated shoulder with slits. 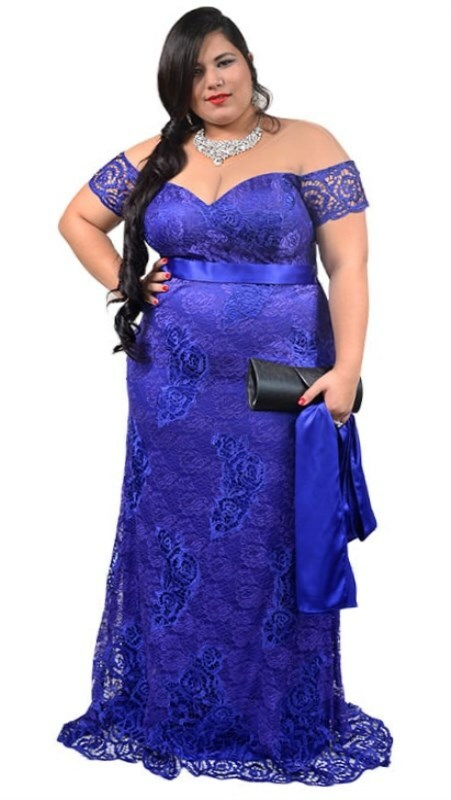 Plus size women will feel luxurious in this dress. This dress has a floral textured top with sleeves and a draped skirt. This dress has a plunging neckline and pretty shoulder caps to help you feel beautiful. 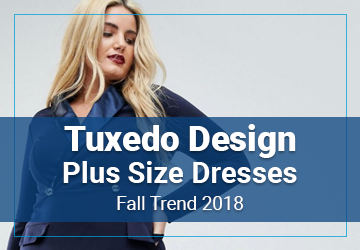 Plus size women will be comfortable in this dress. It’s fitted top and belt offer beauty and security. With this bolero styled top, you will look unique. Pair with a long necklace to accent the low neckline. 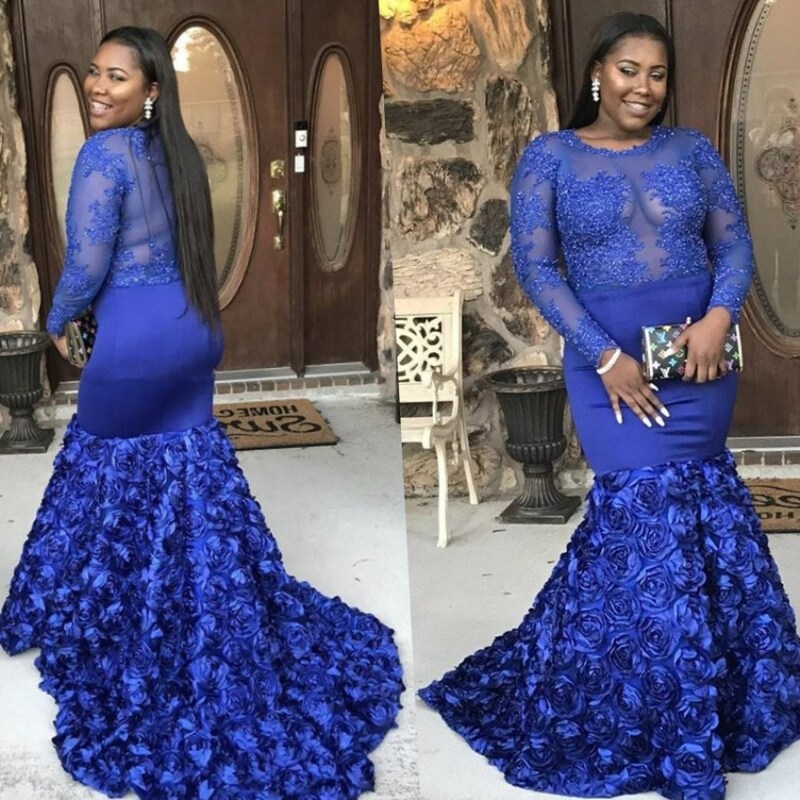 This look says it all with off shoulder lace and a fitted skirt. Pair this with a stunning necklace. This dress has lots of princess tulle and a stunning sheer back. This dress has a boat neck style neckline with sleeves. It has a satin belt and long draping skirt, perfect for plus size women’s shapes. 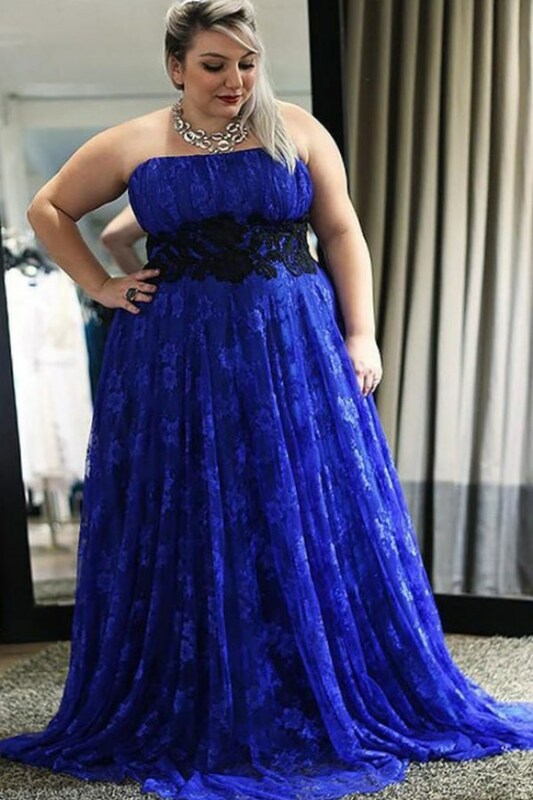 This is a great plus size look. 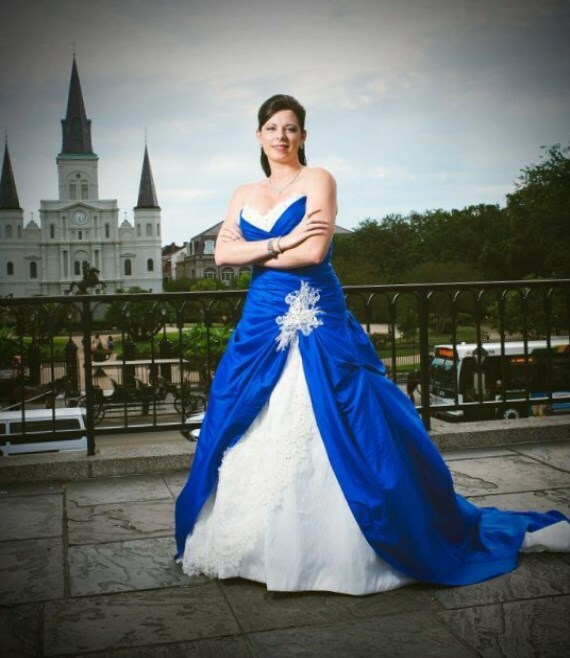 This traditional styled wedding dress looks so beautiful in royal blue. This dress has a high bust line, with the skirt fabric flowing out from the bust. It creates an elegant and simple look. Feel effortless in this mermaid style wedding dress. The sheer top provides coverage and style. 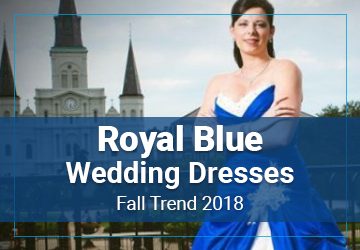 You’ll find the perfect look for your special day with these royal blue wedding dresses for 2019. 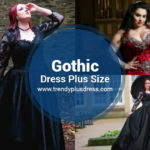 Plus size women can find dresses that fit their figure and tastes with this list. Make the wedding of your dreams. I really appreciate the time you take to explore non-traditional wedding gown colors. As a fuller woman, I know how hard it is to find designs that bring all the figures featured at a wedding into concert. Royal blue and gold spritz puts attention on the dress, not necessarily the figure. It’s great!